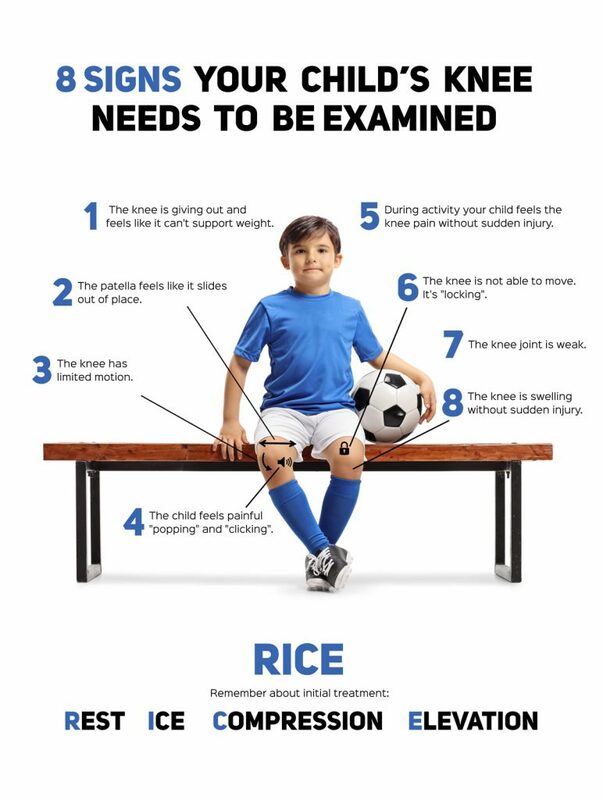 » TAKE CARE OF YOUR CHILD’S KNEE! TAKE CARE OF YOUR CHILD’S KNEE! Comments Off on TAKE CARE OF YOUR CHILD’S KNEE! Our paediatric braces are a perfect solution in case of immobilizing knee joint and providing its lateral stabilization. In our offer, we have 3 different types of braces dedicated to the youngest patients. The braces are a good alternative for a traditional cast. They will help if the ACL or meniscus are damaged or if the knee is sprained. HOW TO REGOGNIZE KNEE DAMAGE? Knee strain or sprain is a result of an impact with another kid a twisting with the foot in contact with the ground. 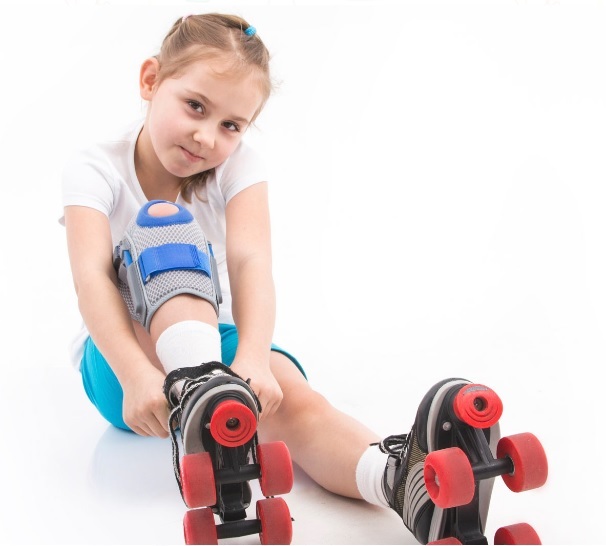 Day-to-day children’s activity, when their bones are still growing, may leads to overuse the little knee joints. There are 3 types of knee strain: slight, mild and severe. More severe injury is connected with damage of ligaments, meniscus and joint capsule. Then, slight knee strain may be even overlooked by your kid. Due to this fact, you should observe your child and if you will notice some symptoms, take your kid to the doctor. Untreated knee strain or sprain may result in serious health consequences in its future life. Meniscus tear is a result of direct or indirect injury and this is common among young athletes. When the meniscus is torn, the ligaments and joint capsule can be also damaged. When a meniscus tear occurs, your kids may hear a popping sound around your knee joint and the motion of the knee is limited. Meniscus surgery is one of the treatment option and it’s done using arthroscopy, while the meniscus is removal totally or partly. 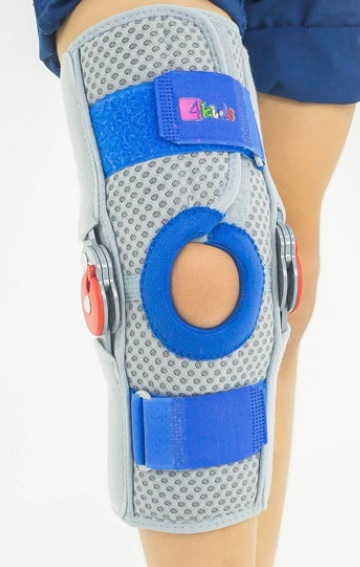 Before and after surgery your child will need professional kids knee brace with leaf springs AM-OSK-Z/S-A for excellent off loading the meniscus. Amount of ACL injuries among kids increases over the years. 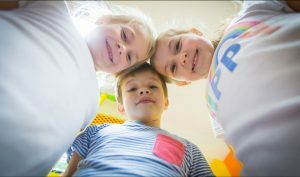 This increasing number of contusions is connected with more sport activities of the children and examinations which are done by sport doctors. Smaller anterior cruciate ligament diameter in girls is a predictor of subjects prone to ligament injuries. ACL injuries are usually connected with sudden knee sprain and torn meniscus and they are the reason of leg immobilization for a long weeks. 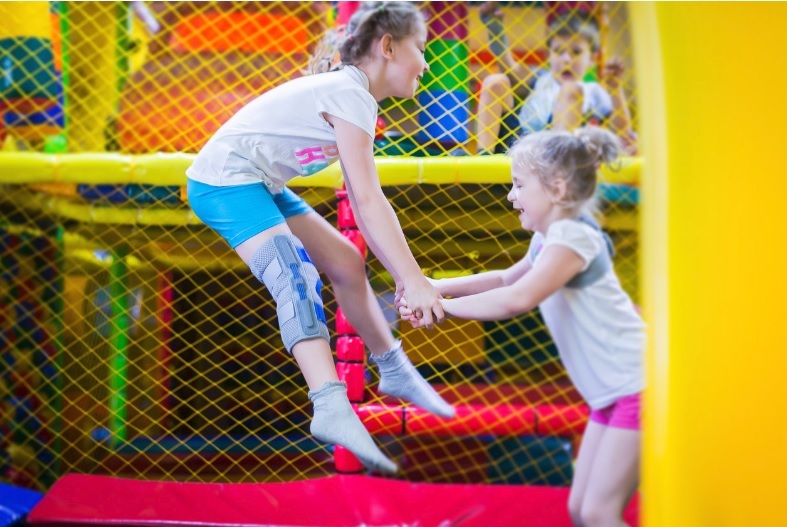 Chronic ACL sprains cause functional knee instability in children. 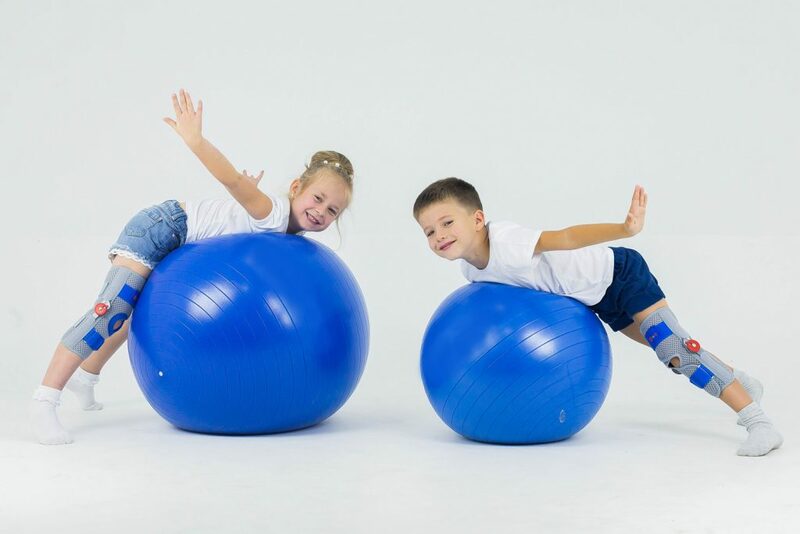 The treatment of damaged ligament may be divided into conservative, when the kid’s bone are immaturity, or operative, if conservative treatment do not do the job or if the injury includes ligaments together with meniscus. In both cases, there is necessary to use our kids knee brace with ROM adjustment AM-DOSK-Z/1R. 3 PERFECT BRACES FOR THE 3 MOST FREQUENT KNEE DAMAGES! 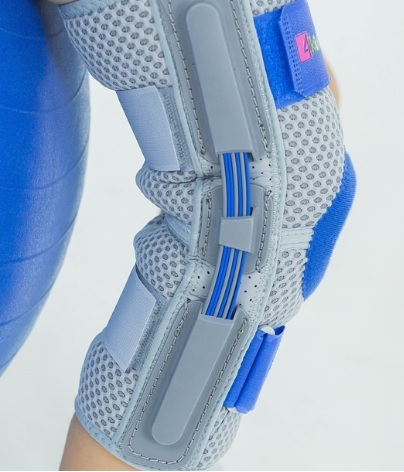 The orthopaedic splint 1R is the innovative solution with flexion and extension adjustment. The drop lock is very small (diameter: 30 mm) and provides 15° ROM adjustment. In addition, we apply the allen screws, which are mounted by steel pins and magnet. The most innovative is the blocking disk with the ratchet, which ensures required angle of ROM. 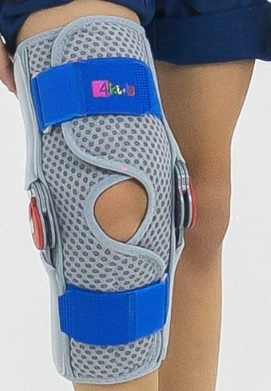 In the short knee braces the splints 1R are universal, so they fit for both legs, but in the long knee braces the splints 1R have anatomic shape for right or left leg. 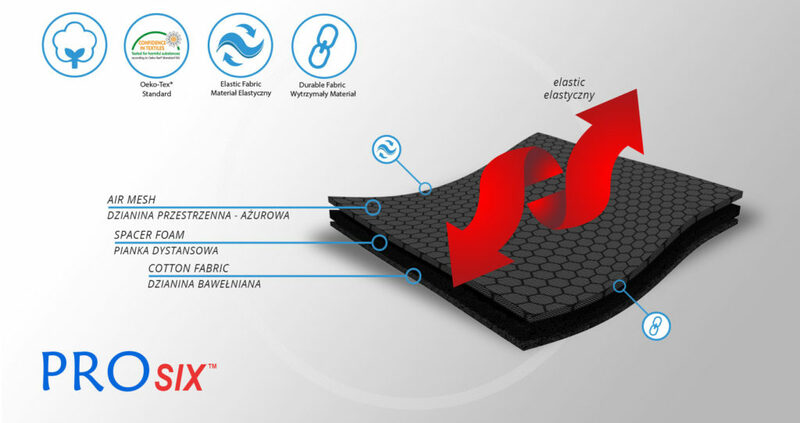 ProSix is an innovative fabric 3D, elastic in all directions and fitting to the limb precisely. External layer is 3D material providing excellent stabilization. There is duothermic spacer foam providing high air permeability and compression inside. The kid’s skin has contact with cotton which is breathable and soft. ProSix is friendly and neutral for the skin and has Oeko-Tex Standard 100 certificate. And you? 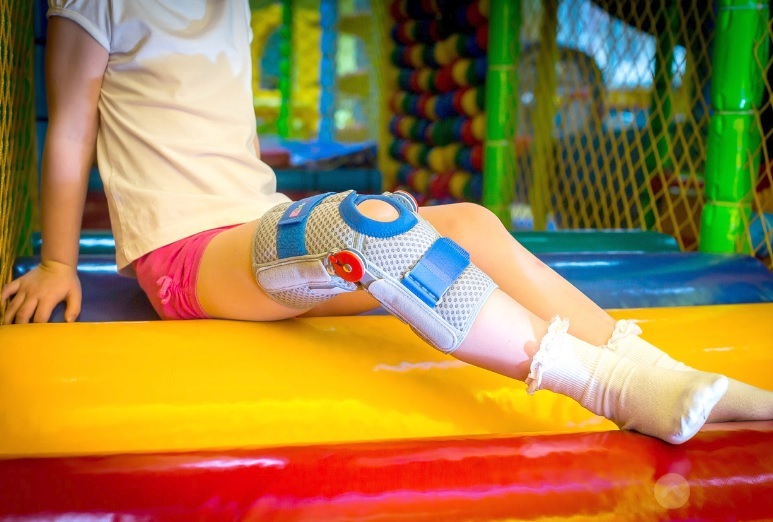 Which brace will you choose for your child? Do you want to know more? Just visit our website!